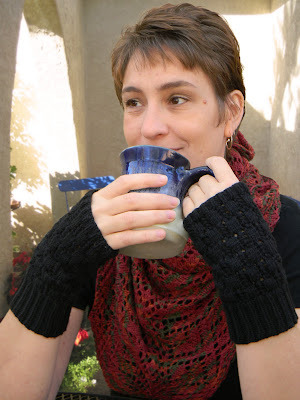 The pattern for the wrist warmers Jessica is wearing is available here. You can find Jessica here and here and here on Ravelry. Usually a design starts with a color. I like to design textures and patterns that represent, in some way, the color I’m working with. If a particular dye lot reminds me of fire, or a stormy sea, or a leafy vine, I’ll try to reflect that in the stitch pattern or overall shape. Sometimes I’ll design something with a particular person in mind, but again, the color is my jumping off point. That person’s favorite color or a color that makes me think of them will be the very first thing I define about that pattern. From there, I just go with the flow and create around that colored inspiration. Once the design is done and named, I let that initial color demand go and let the pattern speak for itself. In my teaching, I’m inspired by the “ah ha” moments - those moments when I realize my student has had a breakthrough and I’ve enabled them to do something they couldn’t do before. Few things are more fulfilling. Cables, hands down. I’m not a mindless knitter – you’ll never see me knitting in a dark theater. I get bored very quickly with stockinette and garter. I enjoy lace, but the perfectionist in me gets fussy quickly. Cables run through my knitting mind like water in a river. They add excitement and visual interest. I’m forever messing with different cable patterns, taking stock stitches and tweaking them to better represent my design concept. 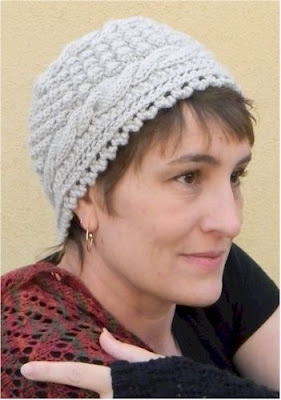 I’ve literally squashed completed designs and patterns because I wanted more from the cable stitch I incorporated, be it more or less twist, stronger definition, more or less prominence, or better actual flow in the knitting process. 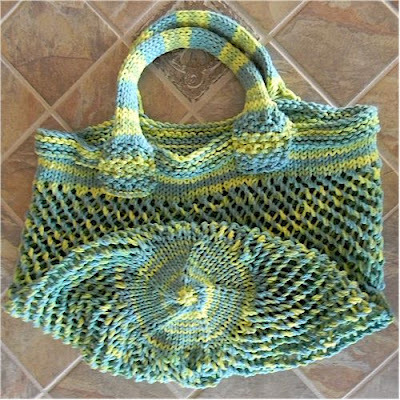 It is important to me that my designs look interesting and intricate, but have easily mastered repeats and offer a kind of a roller coaster experience where the knitter knows this is an action row, this is a rest row, this is a different action row. Knitting should be fun! My designs are generally hats and I’m expanding into wraps and shawls. Sizing is based on appropriateness. If the design is meant for an adult woman, it will be sized as such. If I get requests for a child’s version, I’m happy to make one. I LOVE looking at other designers’ work. Few things are as inspiring and driving. Generally I’m not so influenced by their design as their construction. I’ll see a construction I like and then put my own design on the silhouette or shape that construction technique achieves. I’ve thought a lot about this question ever since the first time the subject was brought to my attention whilst reading your interviews (which I’ve followed for a LONG time now). When I’m writing my patterns I catch myself thinking “oh, I don’t need to include that… it’s obvious” but then I think about my intended audience, and honestly I think that is the birthplace of this controversy. It is only a controversy if you aren’t designing to your intended audience. 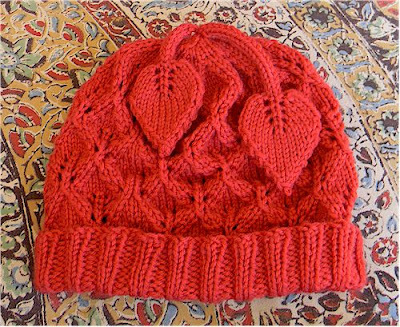 If your designs are meant for expert knitters and include intricate or complex skills, you should write to the general expectations and skill levels of your expert knitters. I’m a knitting instructor. I’m likely to teach my designs. I want my students to gain confidence. To build a sense of security in their skill set, to build confidence in my intended audience, I write to their level and tell them what they need to know. Do I tell them to slide the stitch marker? No – pointing out the bleeding obvious is “dumbing down”. Do I tell them they may want a stitch marker and where to initially place it? You bet. Creating a pattern that is clear, concise and will allow anyone with the basic skills of the pattern to complete a project with success should never be considered controversial. Generally I knit all my tests and samples. Often during this process I not only make corrections but improvements or changes, which I then test knit again. I like having my hand directly in the process. Once I’m fully satisfied, I generally rely on a friend or some of the amazing members of Ravelry to do a final test knit for me. This enables me to check in with my intended audience and see if my writing and instruction fits their needs. No. I detest formal business plans. I find them too rigid and no where near liquid enough for me. My business is my dream. I dream of teaching. I dream of designing. I dream of enjoying this art form. Dreams don’t have formal plans. If my dream changes tomorrow to a dream of test knitting for others, or tech writing or opening a store, I want to follow my dream, not sit down and hammer out yet another draft of a formal plan. Sure, I want sales and money, but they are results of doing the things I dream of and doing them well. A formal business plan isn’t necessary. Being realistic is about your business is. My experience has been that providing the best product and the best customer service I can, with reasonable marketing, at a logical price is the best plan for me. The Internet is everything. Without it I wouldn’t have a business. All of my pattern sales are online. More than 80% of my research is online, and probably 80% of my community is online. 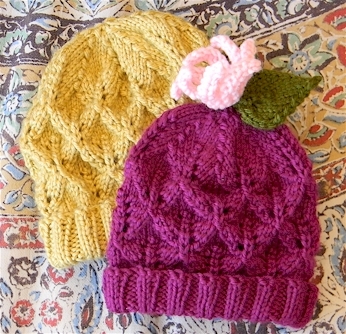 Blogs, websites, online classes, videos, and knitting community sites all feed my creativity. The only aspect of my business that isn’t directly online is my teaching, and even that gains greatly through online advertising. Precariously. Sometimes I’m too focused on my knitting, sometimes my knitting doesn’t exist. I try to do a little everyday, but as a nagging shoulder injury reminds me, breaks are good too. Through my professional “day-job” in which I do other design work, I tell my clients I am “an entity without feelings” so that my clients feel confident and secure in being openly critical, driving projects to be completed to fit their vision, rather than my own. My knitting is very different. It is my personal expression, and not contracted design. At first I took criticism very personally. I’ve had to learn to land somewhere in the middle. Ultimately a criticism is an opinion, and everyone is entitled to their opinion. Likewise, we are all entitled to agree or disagree with the opinions of others. Without opinion there isn’t variety. What appeals to some will not appeal to others. I use criticism to broaden my vision and approach things from a different vantage point. I may or may not choose to incorporate what I’ve learned, but I’ve learned none the less. (Wild laughter!) Yeah, no. 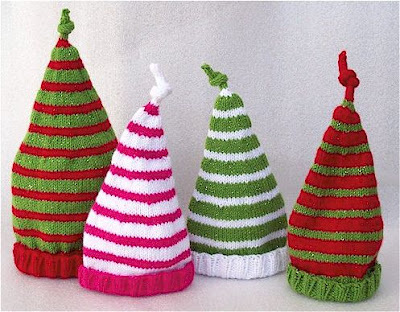 I don’t have expectations that I ever will support myself with my knitting. Sure, it would be nice, but knitting is my creative outlet and my hobby and my relaxation. I suspect if I ever work hard enough at it to support myself I will lose these elements. I’ve seen amazing designers get to the point of self-sufficiency and then muck in, stress out and start dolling out rout mediocrity repeating brilliant projects with weak imitations and variations until they either hate what they do or themselves for doing it. There are many this never happens to, and I’m not suggesting that if that it is your goal you should forget it – hardly! I will stand behind anyone with a dream. That simply isn’t my dream. My goal is to have fun and support my stash, and I’m better than halfway there. Go for it! Just because I’m not out to get rich at it doesn’t mean you can’t. Do what you love and love what you do – it will show in your work and that in itself will draw success to your business. Oh, and always remember “NO” is simply an acronym for “Next Opportunity”, not a personal assault, opinion or judgment. “NO” only tells you this isn’t the right person, place or thing…keep going and move on to your “Next Opportunity”. Loved it! She has an excellent outlook.